We absolutely love this pop up battery powered target which is specifically designed for use with BB/Airsoft Guns and includes a net to catch all your fired ammo. As soon as the 3rd and final target is hit and knocked down, all three targets automatically reset and pop back up, ready to be shot down time and time again. 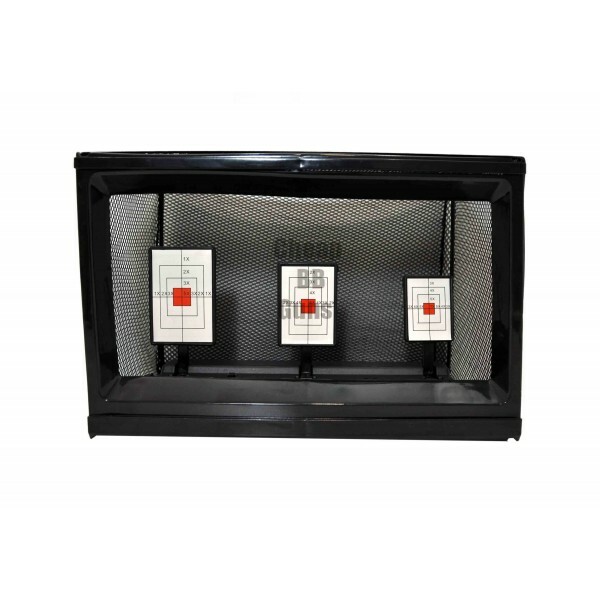 This Automatic Airsoft Gun Target has a width of 38 CM, a height of 22 CM and a depth of 19 CM. Buy yours today at half price!